Dèesse Magazine: October is Breast Cancer Awareness Month support the cause with these Fabulous Finds ! 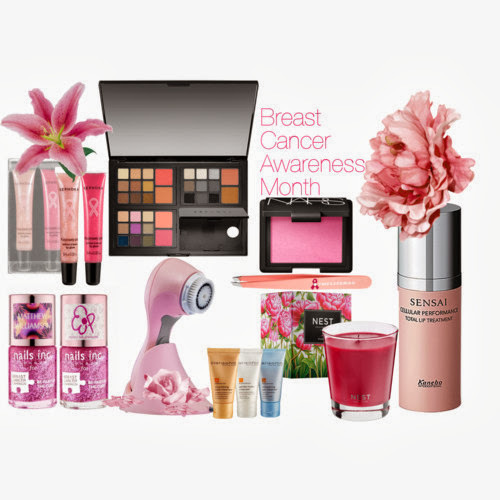 October is Breast Cancer Awareness Month support the cause with these Fabulous Finds ! Sephora Collection Purposely Pink Lip Duo $14 | NEST Passion Candle $28 | NAILS INC.
October marks Breast Cancer Awareness Month , the one month where Pink is just more than a girly color. Above, you will find some great products ( with the exception of the NARS blush - I just added it in because its the perfect shade of pink ) where a percentage of the proceeds go to Breast Cancer Research / Awareness. Beyonce even took to Instagram this morning ( photo, below) to show her support of the cause with the new Nails Inc Pinkie Pink Nail Polish By Matthew Williamson. 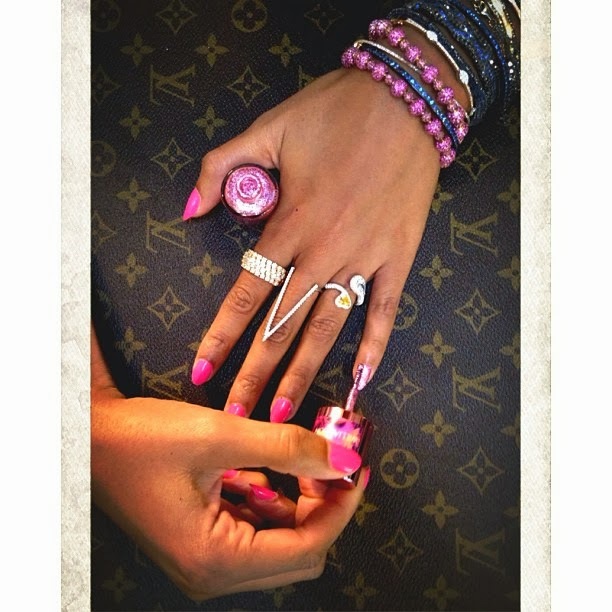 As I love all of Beyonce's nail choices, I will be doing this myself .. SOON! Support the cause and get something PINK, and if you're into glittery nails like me, sport the Pinkie Trend ( below). For more information on the products listed above click on the links. Happy October!